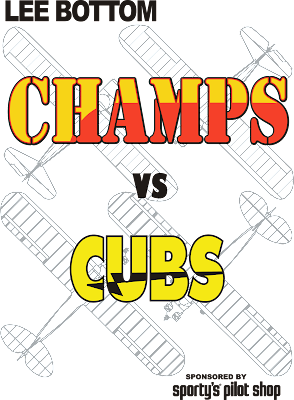 Here they are on the shirt Ginger created for the contest. See below to find out what "they" are. Going way back, John Burress has been involved with the fly-in at Lee Bottom. Working professionally as a graphic artist, he has done the layout for our calendars, mailings, signs, and just about anything else he could help with. This year, when Ginger came up with a great last minute idea, John was the guy who helped us out. When I called John to let him know what I needed, I caught him enjoying life. He was riding his bike through a rain forest somewhere within driving distance of Seattle. Standing there, somewhere I imagined to be incredibly scenic, he heard me ask, "Can you put together a logo with X characteristics?" I don't know where he carries his computer and how he powers it from his bike but in no time at all I had what I was after. How he got it done so quick I do not know. Granted, it wasn't like he cranked out a Mona Lisa. But, he produced exactly what I requested and damn near instantly. 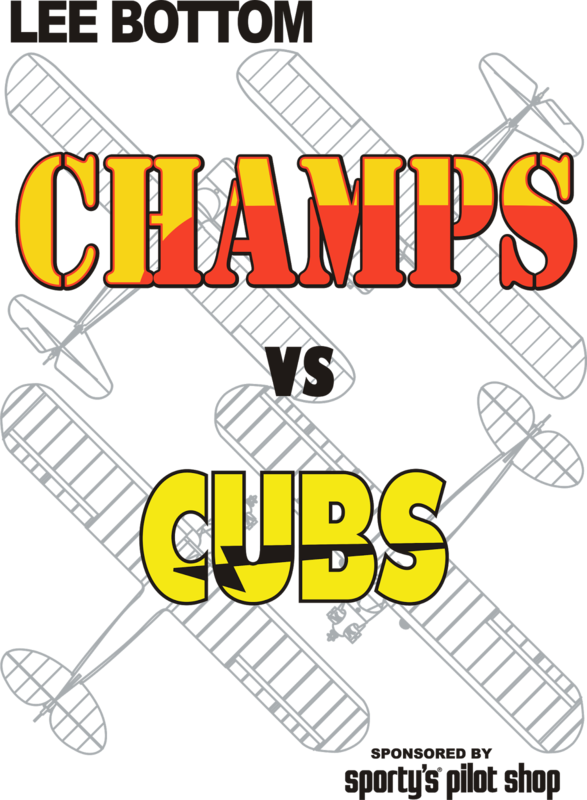 Although he worked on many things, the core item he created for us, the thing I had first wanted, was the header for Champs vs Cubs. The stylized words, sporting paint schemes to match the airplanes, were John's mark on this year's event. We used them everywhere. The Aviation Migration - How Was It?